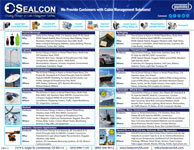 Product guides to best fit your application needs. Find the best fit for your application needs. This sheet includes features & benefits and how to identify products that will best fit your application. Identify the different connectors we offer. 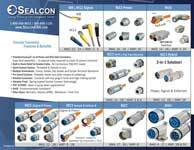 This sheet includes features & benefits and a comparison chart of connectors we offer. Learn the different Enclosures we offer. 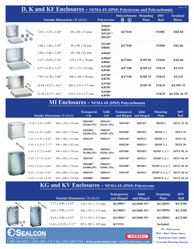 This sheet includes sizes and specifications. 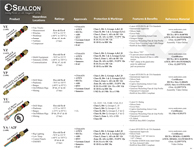 Discover the different Emi Connectors we offer. This sheet breaks down the features and benefits of each strain relief fitting. 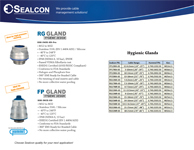 Features and benefits of the Hygienic Glands for wash down applications. 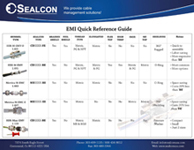 This sheet breaks down the features and benefits of Hazardous Location cable glands. The Jaeger Connector product line by series, technical data and specifications.